New year, new amazing prizes! 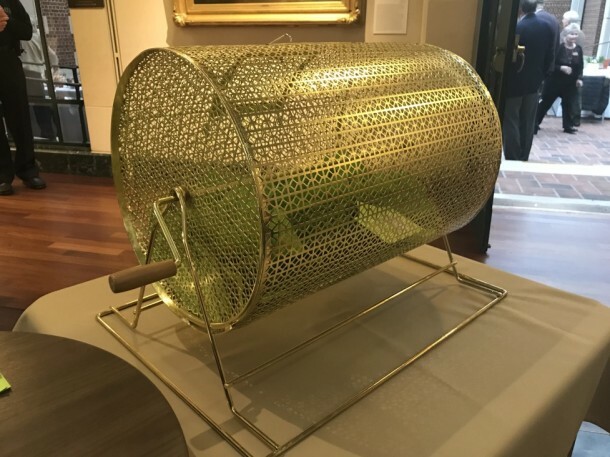 Annual Raffle 2019 drawing: Thursday, March 7, 2019 at 9:00 AM. It is not necessary to be present to win, but you are graciously invited and encouraged to attend the Annual Meeting! All money and ticket stubs must be turned into the WCMFA prior to the drawing on March 7 at 9:00 AM. This year, our goal is $20,000 raised and over 3,000 tickets sold! Help us reach our goal — buy your own tickets and sell to your friends. 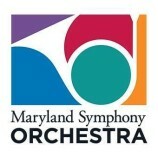 Get your tickets today by calling 301-739-5727 or stopping by the Museum. 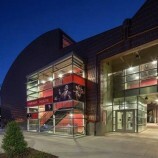 If you received tickets in the mail, please send them back to the WCMFA along with your payment. 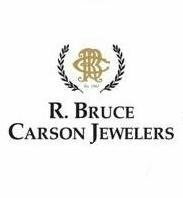 R. Bruce Carson Jewelers $5,000 Shopping Spree Since 1902, R. Bruce Carson Jewelers has been offering excellent quality and large selections of exquisite diamonds, colored gemstones, pearls, watches & extensive giftware. Friendly & knowledgeable staff includes jewelers & watchmakers. Member of the American Gem Society. www.carsonjewelers.com 301-739-0830. Francesco Spicuzza (American, b. Termini, Sicily, 1883-1962,) Landscape with Trees, ca. mid-20th century, Oil on Masonite, 23 ½ x 27 in. v. $1,800 One of Wisconsin’s most prolific artists of the 20th century, Spicuzza immigrated to the United States as a child from his native Sicily. He first studied with Robert Schade and later Alexander Mueller at the Milwaukee Art Student’ League. He also received instruction in Impressionist painting from John Carlson at Woodstock, New York. At the behest of his wife, the artist opened a studio after the panic of 1907 and began to specialize in painting landscapes, beach scenes, and flower still lifes. Spicuzza taught for many years at the Milwaukee Art Institute and he received numerous regional and national awards. A lush, vibrant painting rendered in spring, Landscape with Trees very likely depicts apple blossoms in an orchard outside of Milwaukee. One time Rental of the Museum’s Anne G. and Howard S. Kaylor Atrium v. $1,800 With its glass roof, plein-air lighting effects and openness, the Kaylor Atrium is a beautiful space that will greatly enhance anyone’s special event. Rob Gonsalves Framed (giclée) Limited Edition, Signed #10 of 295 Doll’s Dreamhouse 18.625″ h x 14.875 v. $725 Donated by an anonymous donor, Gonsalves injects a sense of magic into realistic scenes. As a result, the term “Magic Realism” describes his work accurately. His work is an attempt to represent human beings’ desire to believe in the impossible. 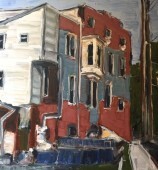 Private one day museum tour with lunch for two to Washington, DC v. $300 Hosted by WCMFA Past President, John Schnebly and Director, Rebecca Massie Lane. 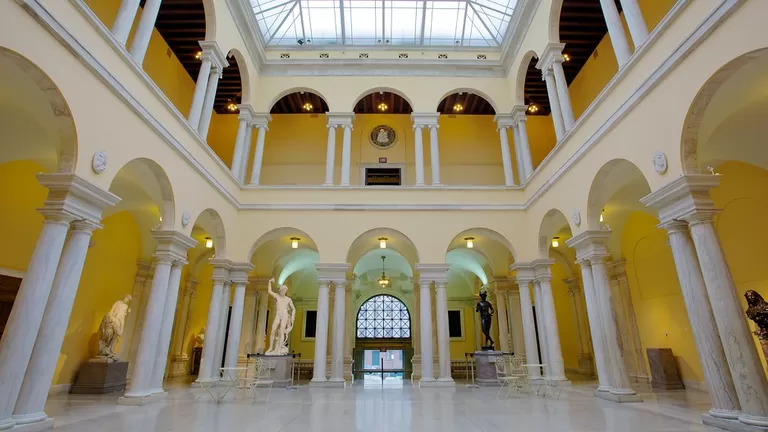 Private Tour for four at the Walters Art Museum by Daniel Fulco, WCMFA Agnita M. Stine Schreiber Curator v. $300 A private guided tour and discussion of the Walters’ renowned collection in Baltimore’s historic Mount Vernon District. Tour highlights include; European paintings and sculptures from the Middle Ages to the 19th century, the arts of the ancient Mediterranean world, and works from Islamic and East Asian cultures. Lunch is included.